This paper proposes a new variant of the least square autoregressive (LSAR) method for speech reconstruction, which can estimate via least squares a segment of missing samples by applying the linear prediction (LP) model of speech. First, we show that the use of a single high-order linear predictor can provide better results than the classic LSAR techniques based on short- and long-term predictors without the need of a pitch detector. However, this high-order predictor may reduce the reconstruction performance due to estimation errors, especially in the case of short pitch periods, and non-stationarity. 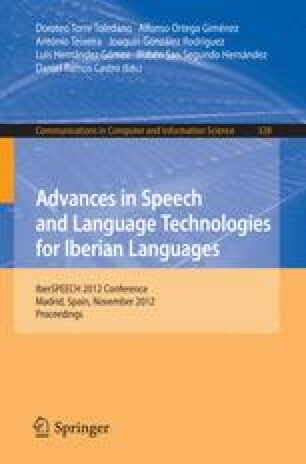 In order to overcome these problems, we propose the use of a sparse linear predictor which resembles the classical speech model, based on short- and long-term correlations, where many LP coefficients are zero. The experimental results show the superiority of the proposed approach in both signal to noise ratio and perceptual performance. This work has been supported by the Spanish MEC/FEDER project TEC 2010-18009.